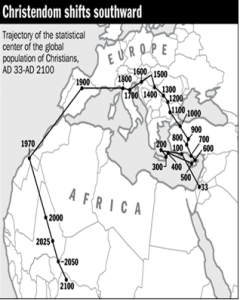 Map showing the statistical centre of Christianity from Ad 33 to 2020. 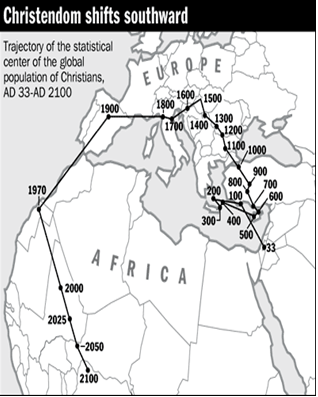 0-1900 moving westerward from Palestine through Europe. 1900 and following rapidly south and east through Africa.